Dr Leandro Herrero has once again been invited to provide a keynote speech at eyeforpharma's annual SFE Conference at Hotel Rey Juan Carlos, Barcelona, Spain on 27-29th April 2010. Specifically tailored for the Pharmaceutical Industry, Dr Herrero will provide his presentation entitled: "Viral ChangeTM Inside as overriding core competence: Why speed of business transformation in the era of permanent instability is not negotiable." Innovation is a perfect focus for Viral ChangeTM. Defining a relatively small set of ‘innovation behaviours’ that can be copied and spread via a champions community is the fastest way to create a true culture of innovation. Example: imagine 1000 people systematically asking the question ‘Can it (could it) be done differently? Faster? Cheaper? Better?’ at the end of meetings, at the creation of business plans, at the post-mortem review of projects... Systematically, virally embedded, tipping points created = ‘it is the norm’. A true internal epidemic of curiosity and inquiry. That is an innovation culture. A typical ‘lesson 1’ I use in workshops/preparations/uncovering non negotiable behaviours work in the innovation/viral change area is the discussion around the saying ‘When the only thing you have is a hammer, everything looks like a nail’. Seth’s blog post expands it in an interesting angle looking at publishing. As usual, it is difficult to put it better than Seth. PS. My new book ‘Innovactions: escaping the me-too company’ – where I address innovation from the behavioural+viral side - wont be ready until February, sorry! Written by guest post author Adam L. Penenberg, who is the author of the book Viral Loop. Mr Penenbergs complains that his publisher wants to change the title to ‘Share’ because they are worried about the negative connotations of Viral in the context of H1N1 flue or swine flu as we call it ‘over here’. Probably with good intentions, if naïve, he declares that it is time to kill ‘Viral’ and asks the audience/readership for alternative terms. The comments, long list, are mostly hilarious. Only one or two out of dozens and dozens take him seriously. Most think it is a stupid idea. One comment insinuates how cynical it is to try to kill viral and start a sort of viral campaign to look for an alternative name! Most of the comments are of the sort ‘mock, tease, ridicule or scoff’ which is what Wikipedia tells me I should write down in politically correct style instead of what I wanted to write down. Here is a very short list of alternatives: fungal, orgasmeme, tidal, spamsplosive, avalanche, H1M1, social loops, wildfire marketing, contagious, sticky, parasitic, or herpetic. And this is a small sample. "Specifically, the top 10% of prolific Twitter users accounted for over 90% of tweets. On a typical online social network, the top 10% of users account for 30% of all production. To put Twitter in perspective, consider an unlikely analogue - Wikipedia. There, the top 15% of the most prolific editors account for 90% of Wikipedia's edits ii. In other words, the pattern of contributions on Twitter is more concentrated among the few top users than is the case on Wikipedia, even though Wikipedia is clearly not a communications tool." 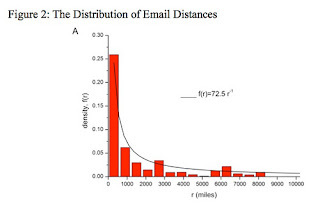 The Power Law of Viral Change (TM) is also the Power Law of 'Facebook distance' and 'email distance'. Wonderful data! One of the key components of the Viral Change™ maths is the Power Law that governs most of the connectedness phenomena seeing in organisations, external social networks, electronic networks, the long tail economy, the web etc. As stated in the Viral Change™ book that means that a small group of individuals within the organisation are going to be relatively well connected whilst the majority (long tail) are not. For social influence, ditto. Head and tail are powerful economic models as well. Amazon is a head and tail economy. It sells thousands of copies of Harry Potter as well as 4 copies of Pottery in Cumbria (bought by the girlfriend of the author, the author himself and two relatives). It makes money in both. My local village bookshop is definitely a head economy in the shelves: only Harries and the like can be afforded space (although his computer can access the long tail in the distributor). Obama campaign as mainly tail economy: millions of $10 donations vs the head economy of few $100 million. He was also viral:’ a family at a time, a person at a time’. Power laws explain blog life: a few well connected and reads, most poorly connected and read by few. Our change champions model entails the use of the ‘few well connected’ to spread new behaviours through their (powerful) social networks, creating critical masses of ‘new routines’. Whilst anybody with a background in maths/physics/computer sciences etc would see the Power Law/logarithmic distribution as obvious as breakfast cereals, many people are hooked into the Bell curve/normal distribution as the one should be expected to find ‘everywhere’ (well publicised by the distribution of IQ (intelligence) where by design ‘100’ is the norm. Summary: Experimenters studied data from 100,000 participants that were both Facebook users and email users. 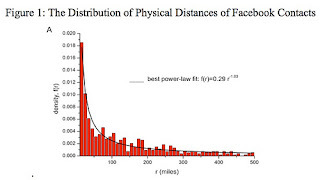 They found that most Facebook users' friends are within several miles of their location. They also found that emailing followed the same pattern: 41% of the emails that participants sent were within their own city. Just back for a three days Change Champions Conference with a client in Italy. All work in Italian. Great simultaneous translation. At the end of the last workshop the translators approached me: we are infected, we will spread the word; we feel we know it ‘all’. What a wonderful feeling of ‘infecting’ people who are not close to the real day to day work of change! Viral change is viral. Not a discovery I know, but worth noticing! Key Viral Change(TM) Principles - another summary! 9. Viral change is neither top-down nor strictly speaking bottom-up, but multi-centric and distributed across the organisation. 10. Stories are the best currency of change. Story-capturing and story-telling is key to viral change. 11. Viral Change distinguishes itself from simple ‘viral communications’ since it goes beyond ‘information cascades’ to engage people in mutual commitment to action. In other words, endorsement of the need for change and its communication (‘activism’) is necessary but not sufficient for Viral Change™. Mutual commitment and action (‘activism’) is required. One is that change is behavioural based. There is effectively no change unless it is a change in behaviours. Process and system change, or structural change, are usually the easy part. The key is to ensure that people, from top to bottom, do things in a different way. The second factor is the choice of influence mechanisms. Whilst top management hold the hierarchical power, this does nor necessarily correlates with degree of influence in making changes for the ‘new ways of doing’. Peer to peer influence is far more powerful and sustainable. The third factor is conceptual. The real organisation is not the ‘plumbing system’ represented by the organisation chart but a series of overlapping collaborative spaces, networks of individual and group connections, some of them visible, most of them invisible to the management activity. In this network of connections, a relatively small number of individuals hold a disproportionate high number of connections, and therefore influence potential, whilst the majority of individuals have few connections. However, many traditional change management processes are neither behavioural based nor using peer to peer influence enough, if at all. They also are biased towards the top-down hierarchical organisation where the only clusters of connections that count are the visible ‘collaboration by design’ of teams and committees. The flattening of the organisation or the abandoning of the command and control language is not guarantee of true shift in the mental model. Viral Change™ is the only alternative to the traditional, mechanistic, process driven, top down change management. It delivers sustainable change faster; it is a far less painful process and is by far more cost-effective. In the traditional models of ‘change management’, a set of initiatives (usually many of them) are cascaded down form the top of the organisation and communicated to all employees via massive communication programmes. All layers of management are involved and the higher ranks ‘communicate’ and ‘present’ to lower ones in an orchestrated communication cascade. Workshops take place, actions are decided and implementations are expected following what amounts to an often colossal effort of rational appeal: ‘B is better that A, we should go B, this is how’. It all makes sense in the context of an organisation understood, consciously or unconsciously, as a top-down designed system with visible ‘communication pipes’ and ‘recipients’ of the information. Unfortunately, change that has this model embedded doesn’t work well at all. In Viral Change™, a small set of behaviours is spread by a relatively small number of individuals (those with higher connectivity) via their own networks of influence in the same way as a virus spread or ideas are adopted in the form of fashions or new social norms. Those non-negotiable behaviours are ‘uncovered’ case by case as the ones which will be needed to support the desired changes: cultural change, effectiveness goals, redesign of working processes etc. In Viral Change™ mode, that small percentage of influencing individuals is the true engine of change. They do not correlate with positions of management and usually you find them across all layers and ‘job descriptions’ within the organisation. Whilst the spread of factual information (‘These are the 5 goals of the strategic plan’) sits well in formal communication channels, the spread of behaviours doesn’t happen via stacks of Powerpoints. Behaviours are imitated, consciously or unconsciously. Once the initial spread and imitation has taken place via the small community of people with high degree of connectivity and influence, other people follow and adopt, suddenly creating organisational tipping points when ‘the new way becomes the norm’. Social fashions follow the same mechanism – there is no top level command an control that dictates them. In Viral Change™, the terminology of ‘let’s make a,b,c within the company fashionable’ is used normally. Viral Change™ is truly about creating ‘an internal epidemic of X’, ‘a (social) infection’. An additional factor that contributes to the highly effective and successful Viral Change™ is the use of stories. Stories travel extraordinarily well within the organisation, carrying ‘behavioural models’ in them. Stories are the real currency of Viral Change™. The viral spread of new behaviours that create the new ways of working, a new culture or a radical improvement in productivity, for example, is magnified if the process is relatively silent. Viral Change™ is not another form of programme but a system of engineered informality where the focus of attention and energy is on the peer-to-peer spread and infection. Viral Change™ inevitably challenges traditional assumptions such as the role of management and leadership, which for Viral Change™ to work requires a greater form of ‘back-stage’ in the form of support and facilitation of the work of the ‘highly connected’. These individuals are usually called ‘change champions’ – however the existence of the ‘change champions’ terminology in a given organisation doesn’t make it per se a Viral Change™ way of life. London – July21, 2009 - Innovation is back on the radar in many organizations, driven in part by recent movements such as ‘crowdsourcing’, open innovation and the wikinomic world. Interesting is that a lot of airtime is given to ‘processes for innovation’, which are focused on generating and capturing so-called ‘innovative ideas’. In this new book, the author focuses on analyzing the components that are needed to create a culture of innovation, with a heavy emphasis on what people do (or don’t do) to achieve (or miss) a goal. These innovative behaviours the author describes as ‘disruptive’, following the thread in his previous book Disruptive Ideas. Debunking the myth that the capacity to innovate is allegedly connected to the size of the organization or the type of industry, Innovactions will appeal to any manager and leader interested in creating the socio-environmental conditions for innovation within their company. The simple management tools provided by the book will help them create a culture in which different forms and degrees of innovation can co-exist and flourish. Leandro Herrero was a practicing psychiatrist for many years before holding senior leadership positions in top league business organizations. He is currently CEO of The Chalfont Project Ltd, an international group of organizational consultants, which he co-founded. His previous books include The Leader with Seven Faces, Viral Change, New Leaders Wanted – Now Hiring! 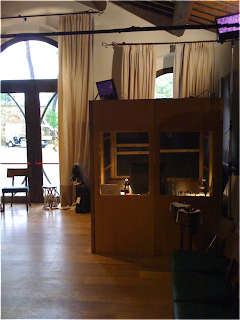 and Disruptive Ideas, also published by meetingminds. Available to pre-order at: www.waterstones.com, www.barnesandnoble.com, www.amazon.co.uk, www.amazon.com, www.meetingminds.com and many other (online) bookshops and outlets. The Viral Change Partnership - A call to join a start up – could you help us to find the right people? Having pioneered Viral Change™ and created substantial market presence and implementation experience (www.viralchange.net) we have taken the decision within The Chalfont Project (www.thechalfontproject.com ) to create a new company exclusively dedicated to the expansion of Viral Change™ across industries and geographies. The new company will be de facto a start up in the form of an LLP (Limited Liability Partnership) The majority partner will be The Chalfont Project but we are looking for a very small number of exceptional start up partners who can see this unique opportunity and are willing to take over our Viral Change™ IP assets, develop them, create business and share risk and profits with the rest of the partners. Partners will be full time dedicated to The Viral Change Partnership LLP and will be directly responsible for its revenue growth, owning part of the new company in terms agreed in accordance with their contributions. If you know of anybody who is an exceptional professional with sufficient experience and gravitas to become a partner, please forward this email and ask him/her to get in touch with me at leandro-herrero@thechalfontproject.com so that I can share a more detailed information blueprint. Penny Power [ 25-May-09 8:47pm ] On 22nd May 2009 I shared the stage with Dr Herrero, I followed his talk. It was the most inspiring talk I have heard. his understanding of the new world and the need for mass behavioral change was articulated at a level that moved minds in the room. The time is now for Dr.Herrero, he is the perfect messenger for the people who fully understand what is actually happening in the Social Networking world. I feel honored to know him and hope that one day he will speak for us at our London Event. 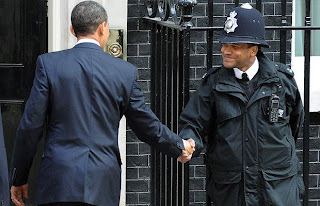 Can’t remember any other time when anybody being pictured arriving to 10 Downing street, official residence of British Prime Ministers, was done so shaking hands with the policemen at the door. It may have happened but haven’t seen it.... Here you have it now. This is the best of G20, believe me. Obama gets it. Obama is viral in nature – here my Viral Change™ interest. In his presidential routes he promised to people A, and B and C ... and then added, ‘whatever it takes, on a person at a time, one family at a time’. Contrast this with our management practices. When was the last time you heard ‘an employee at a time, an individual at a time’? We go for everybody, everywhere in those massive change management or communication programmes, the antithesis of Viral Change™. Viral Change is indeed one-at-at-time change.... Role modelling provided by Change Champions... One generates three, generates 5 etc. It is viral influence. It is this handshake of the picture.